Gray areas aren’t generally the government’s forte. It is legal to enter the U.S. on a tourist visa, travel visa or the Visa Waiver Program (VWP) and get married to a U.S. citizen. It is also legal to adjust your status after getting married. However, the condition of a tourist visa, travel visa and the VWP is a sworn promise that the person using this visa only plans to visit the United States and not immigrate here. Intent is what really matters. The intention of a tourist or travel visa is a temporary visit for a specified amount of time. If you want to get married during your visit then return home before your visa expires that may be legal, but a travel visa should not be used with the intention of entering the United States to marry, stay permanently and adjust status. Using the K-1 Fiancé(e) Visa avoids all of the problems noted above, and is the most appropriate way for a foreign fiancé(e) to come to the U.S. to marry. The potential consequences of doing it wrong are serious. There could be serious problems for someone who enters the United States on another visa with the intention of marrying or residing here. Attempting to obtain a visa or entering the United States by saying one thing when you intend another may be considered immigration fraud, for which there are serious penalties. Those penalties include restricting a person’s ability to obtain immigration benefits, including permanent residence, as well as a possible fine of up to $10,000 and imprisonment of up to 5 years. The Department of State (DOS) and United States Citizenship and Immigration Services (USCIS) assume that intent to marry a U.S. citizen is the same as intent to immigrate. If your fiancé(e) enters the U.S. as a tourist, without disclosing that they are engaged to you and/or intend to marry you, they have committed visa fraud. If the USCIS later decides that your fiancé(e) has committed visa fraud, they could be deported and will be impossible for them to legally return to the United States, even if the two of you are married. Tourism is kind of specific. Tourist visas are for people who want to sight see, not get married. In order for someone to get married in the U.S. while visiting on a tourist or travel visa and then adjust their status to lawful permanent resident they would need to prove they came to the U.S. with the intention to travel to and visit the U.S. and return to their home country but not to get married or immigrate here. You can easily avoid visa and/or immigration fraud by filing for a K-1 Fiancé(e) Visa or you could get married in the home country of the foreign fiancé(e) and then apply for a CR-1 Spousal Visa. If you have secretly obtained a tourist or travel visa, with the intent to marry your fiancé(e) in the U.S. and to bypass the normal process you should rethink your decision. [br][/br]Disclaimer: The information in this blog post relating to the legal requirements of the United States and U.S. Department of State is provided for general information only. Questions involving interpretation of specific U.S. laws should be addressed to an attorney and/or government officials. The fastest way would have been to marry while he was still here, then file an adjustment of status. But since he went back home, its going to be 5 to 7 months before he can come back on a proper visa. If you want to get married in the USA and you’re already engaged, the legal way would be to file for a K-1 fiance visa. If you get married overseas, you would file for a spousal visa. It is illegal to come to the US on a tourist visa if your intention is to get married and stay. The tourist visa would likely be denied. If you want help with the K-1 fiance visa, we’re the leaders! We can help you at a price nobody matches, and in a fast timeline. Give us a call! My Fiancee application for me.Me Hasan Vejseli am here in Macedonia-Europa.Please send you her on (removed) explaie more her.She want to come in Usa to marride her.Give simple her for my Visa. Hasan, please call us or have your fiance call us at 1 (800) 872-1458. I have been visiting the US every year for business meetings. Last 2012 I have been issued with a 10 year multiple entry tourist visa has visited the United States twice (business and leisure) using this visa. I was just wondering, what if my boyfriend and I get crazy one time and get married during one of my visits, is it possible for me to adjust my status eventually? Sorry but this came to mind while reading some of your blogs. Very interesting. Riza, according to the rules, as long as you didn’t intend to marry when entering, that is supposed to be fine. However, it is at the discretion of the consular officer at your interview. I am Spanish citizen and I plan to travel to the US to get married to my fiance, who is a US citizen. I will only stay in the US for 2 weeks, and after the wedding, I plan to come back to the UK, where I am currently living and working, and we are hoping that he will be able to join me in the UK later this year. I was going to apply for a K-1 visa, but after reading the website of the US Embassy in the UK, I saw that I could get married on a B-2 visa since I was not planning to stay. I emailed them and they confirmed it, so I collected documents such as a letter from my employer and tenancy agreement to prove to the border agent that I am not planning to stay. However, I am scared that this won’t be enough, and I am sent back to the UK with no permission to come back to the US. Any advise on what other documents could I provide, or what consequences I may face if they don’t believe that I do not intend to stay in the country? Lorenza, please call our office at 800-872-1458 or 719-208-7033. I plan on going to my fiancé’s country to marry him and we want to live here in the US I am a US citizen. what is a better idea and by better I mean fastest way to get him here…K1 Fiance visa or get married there and come back here and apply for a husband visa? I’m not clear what visa you’re referring to. My boyfriend is coming this February he wanted me to go back with him, he is a U.S citizen ,how can I go with him or what type of visa do I need to get? Hi, can I start applying for the finance visa while in America on my tourist visa? Or do I need to be in norway already? I’m going home in about 2-3 weeks. Hi, I am American and have been living in China for 7 years. My wife is Chinese and we have been to the USA 3 times already with her using a 10 year B1/B2 visa (I met her after I moved to China). We got married on our 2nd trip here and didn’t think it was necessary to tell immigration since we planned to come back to China. This was no problem on our 3rd trip here when we went through immigration together at the airport and said we were married (that was the reason for her to use the line with me for American citizens). Anyway, my question now is what happens if we decide not to come back to China the next time we visit the US? Most likely we would return to China after our summer vacation (we are teachers in China), but what if we really decided to stay, if, for example, I found a better job in the US after a few weeks there? Would it be ok to just file for a change of status in that case? I’m a dual American/filipino citizen. I’ve been living in The Philippines more than 15yrs. I want to marry my filipina gf in Guam and come back to the Philippines. I can’t apply for fiance visa since I’m not domiciled in the U.S. And have not had ties there for quite awhile.. Can she apply for a tourist visa on the grounds that we’re going to get married and return to the Philippines? She may apply for a tourist visa but she will face scrutiny. She’ll need to convince the officer that she intends to return to the Philippines. She’ll also need strong ties in the Philippines. If I have not met my fiancee in person how hard will it be to get a K-1 visa? Also what proof is acceptable to prove our relationship? Hello , my husband is a american , we get married here in the philippines lqst may 19,2018 , and i already change the status in my passport …. i am now using his last . The question is .we wanted that i will go to i.s as soon as possible , what should i get fastest tourist visa or spouse visa ? My girlfriend is coming to visit if she gets a tourist visa, we decided to not do the K1 visa because the requirements for status change she cant stay in the usa for that long away from her mother because of health reasons. I live in Las Vegas and we have thought about getting married then she would go back home after two weeks. When she get back to her country could she applie for status change in her country, she does not want to give up her citizenship in her country. I want to get married in usa by a tourist visa can I? I am still legally married here in Philippines but separated for 7 years. My american boyfriend wants me to visit him to US. Does my status can affect of getting tourist visa if I’m married? Can i obtain 3 visa for visiting.working and marriage because my girlfriend Want me to go there New York.i want also working while she will not told me to work.also I married her to stay together. Hi, can I start applying for the finance visa while in America on my tourist visa? I’m going home in 3 weeks. My boyfriend is planning to travel to the USA to visit me for the first time and also to look into finding work. if I become pregnant while he is on a tourist visa will he be deported.? We plan to have a baby and get married I just want to do things the right way. How do i go with the visa? I mean ill be going over with the intent, but requirements states that u should have met in person within 2 years, plus its not a religious marriage thing thats like arranged by the parents or anything….. 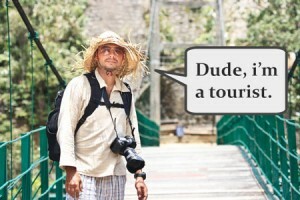 Going over as a tourist is wrong – cause i have clear intent. But im not sure i meet the T&C if you know what i mean? What to do?